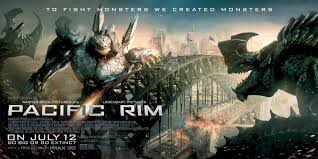 Pacific Rim – Guillermo Del Toro – Big monsters hit big robots – the very definition of ‘heavy-handed’: it is a simple and gleefully boyish formula which Del Toro invests with affectionate energy. However, while clearly presenting a step up from Michael Bay’s Transformers franchise, it still suffers from being grounded with insistently anonymous action man type characters. It was this rugged lack of soul that, for me, prevented Avatar from ever being anything more than visually appealing. 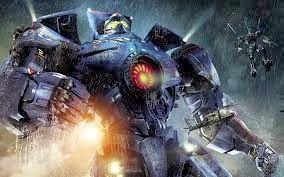 Granted, being ‘visually appealing’ is the drive of these films, but would it really be too much of a stretch to extend some of the imagination (poured with such abandon into the CGI monster creations) into depicting male characters that go beyond a bicep-centric heroism and devastatingly chiselled features. 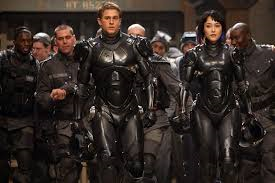 The exception in Pacific Rim is Idris Elba’s character, despite a fairly stock steely eyed solemnity with a buried heart of gold type - Elba alleviates the template with his undeniable gravitas and natural charisma.